BILL Shorten currently enjoys a substantial numerical lead in opinion polls over Prime Minister Tony Abbott. But the Labor leader knows his lead is soft, and that in a volatile electorate many voters may in time drift back to the Coalition. Presumably that is why, in an attempt to impress Labor’s base and to lock in the welfare vote, Shorten has recently escalated his frantic class war rhetoric. 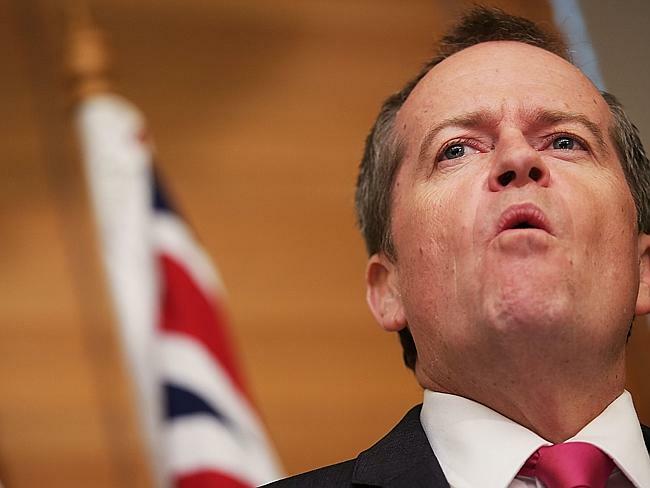 “We will fight to the last drop of our breath the brutal attack on the poor in Australia,” Shorten told Labor’s caucus yesterday. “We will put social justice back up the political priority.” Shorten claimed the Coalition government was “inflicting an extreme ideology through their own unfair budget”. He was at it again during Question Time on Monday. “You are an extreme government motivated by an extreme ideology,” Shorten railed, looking like a furious, slightly less orange Oompa Loompa. Given that Shorten’s knowledge of money mostly comes from marrying it, he could perhaps use some remedial economic education. It is by no means extreme to seek a balanced budget or to aim for a budget surplus. Indeed, previous Labor treasurer Wayne Swan repeatedly promised to deliver a surplus, year after year. This from the man who was a key player in the knifing of the last two Labor prime ministers. In 2010 he undermined Kevin Rudd to engineer his replacement by Julia Gillard, who rewarded Shorten with a cabinet post. 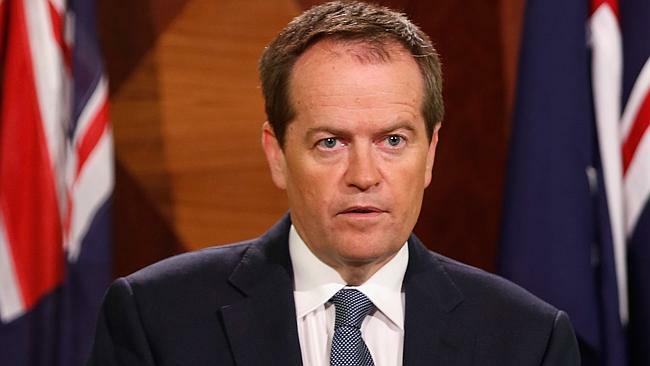 Three years later, short-term loyalist Shorten turned against Gillard and said he would resign from cabinet if she prevailed in another leadership brawl with Rudd. Abattoir workers have less blood on their hands after a 12-hour shift slaughtering haemophiliac cattle. As both of his previous party leaders have discovered, Shorten is the San Andreas Fault of Australian politics. Anything built on his loyalty is subject to extreme earthquake risk. Well may the Labor leader vow he’ll fight to the last drop of “breff” defending the poor from brutal attacks. It’s his own party members who need defending when Shorten is in attack mode. Oh, and the occasional food shop worker. Voters may recall a “brutal attack” by Shorten on Melbourne’s Annie Huang, who was behind her deli counter in 2012 when the then-workplace minister dropped in for a pie. None was available, leading to a fit of Shorten rage. Following Shorten’s eventual apology, Huang still felt understandably distressed. There’s your champion of the workers, right there. The next time Bill Shorten wants to discuss social justice and unfairness, he ought to first consider his own actions. 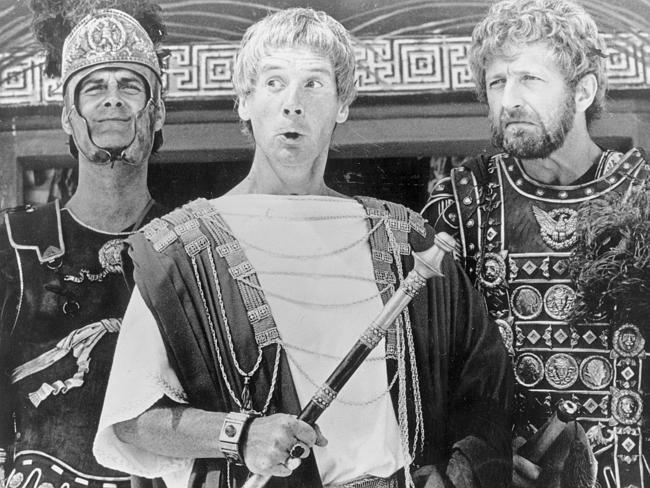 He should also consider the damage committed against future generations of Australians by his Pontius Pilate-like, cynical refusal to assist the government in reducing our national debt — a ruinous Labor legacy far more extreme than anything proposed by the Coalition. The government, too, must continue seeking measures that rebuild the budget. To do anything less would invite the re-election of the party that got us into this mess in the first place.